Climate change is currently at the centre of international affairs, as rising global temperatures threaten long-term environmental and economic sustainability in regards to energy production. The primary sources of global energy are carbon based energies, which are non-renewable and unsustainable in the long run from both an environmental and economic standpoint. Recent international initiatives, such as the Paris Conference, have outlined global commitments to “combat climate change and adapt to its effects,” with a specific focus on “keeping a global temperature rise this century well below 2 degrees Celsius.” A major component to these initiatives is the development of sustainable technologies to facilitate a transition to 100% renewable energy sources, and recent studies by Lappeenranta University of Technology and VTT Technical Research Centre of Finland Ltd have highlighted South America as a “favorable region for a global shift to 100% renewable energy” due to the region’s abundance of Photovoltaic power (PV) and hydropower that when coupled into an integrated system fulfill the region’s energy requirements. Hydropower has long been an energy solution in South America due to the continent’s abundance of water sources. However, hydroelectricity, while renewable, has become a non-sustainable option amidst climate change, as changing temperatures threaten the drainage cycle and create an inconsistent energy supply. In addition to hydropower, South America also possesses some of the most productive PV sites in the world, which consist of solar (The Atacama Desert) and wind (Patagonia) power, that when coupled with hydropower in an integrated power system possess the capability to produce 100% of South America’s energy needs, both industrially and residentially, by 2030. 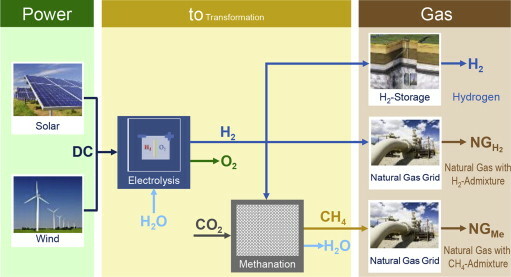 The integrated system centres around the “linear optimization of the energy system” through the development of both storage and generation technologies, with a primary focus on the generation of synthetic natural gas (SNG) and water desalination. The generation of this linear system consists of four elements: the conversion of renewable resources to electricity, energy storage, energy sector bridging, and electricity transmissions. In regards to the conversion of renewable energy resources, South America has access to a variety of power sources, including ground mounted and rooftop PV systems, solar thermal power, onshore wind turbines, waste-to energy power plants, hydropower, biomass, and geothermal power. The next step in this power conversion process is the storage or retention of energy. However, the implementation of an integrated power system, which is dependent on hydropower capabilities, fosters the development of a Power-to-Gas System (PtG) that eliminates the need for large amounts of storage space. The reliance on a hydropower base allows for the continual generation of power through natural and sustainable means while eliminating the need for large and costly storage technologies. Within this PtG system, hydropower serves as a virtual battery, or power source, that converts harnessed solar and wind power into natural gas, ultimately reducing the cost of production while meeting the energy demands. The next step in the linear optimization of energy is the bridging of energy sources with the energy sector, and the primary goal in this stage is to develop technologies that reduce the need for storage, creating more flexibility within the system while reducing production costs. The PtG system directly addresses South America’s industrial demand for natural gas, as the system allows for its final product to be continually generated and consumed without immense and costly storage necessities as in other places, such as North America and Asia. Due to a lack of hydropower, many places are unable to implement the PtG system and instead must implement a PtG system that converts the final product back into power, as there is no way to continually generate power. While other regions have begun to implement PV technologies as sources of renewable energy, there is not always a catalyst or power source, such as hydropower, to convert the harnessed power, making these regions reliant on unreliable weather conditions. Another form of bridging energy sources with the energy sector is the usage of reverse osmosis desolation (SWRO), which is when a liquid flow is created “through a membrane that causes the water to leave the salty side of the membrane and flow into the unsalted side.” SWRO couples the water and electrical sector while reducing storage needs and eliminating energy shortages, ultimately providing nations with increased flexibility in their energy sectors while significantly reducing the cost of production by 75-150%. The final component to the linear energy model is the physical transmission of electricity that is represented on two levels: the usage of standard alternation currents that facilitate transmission and the distribution within various sub-regions through high voltage direct currents (HVDC) through an inter-regional grid. Current studies are evaluating the combination of these two currents as well as the effectiveness of various power grids, such as international grids, national grids, or even local grids. In regards to cost, however, a more centralized system throughout the continent lowers the cost significantly in all situations. The creation of a energy system completely powered by renewable sources in South America is not only an obtainable possibility within the next fifteen years but also a necessity due to the detrimental environmental and economic impacts of a carbon based energy system. South America has begun this shift with the incorporation of hydropower into its energy sector, but hydropower has recently become an unreliable option that must be reevaluated. 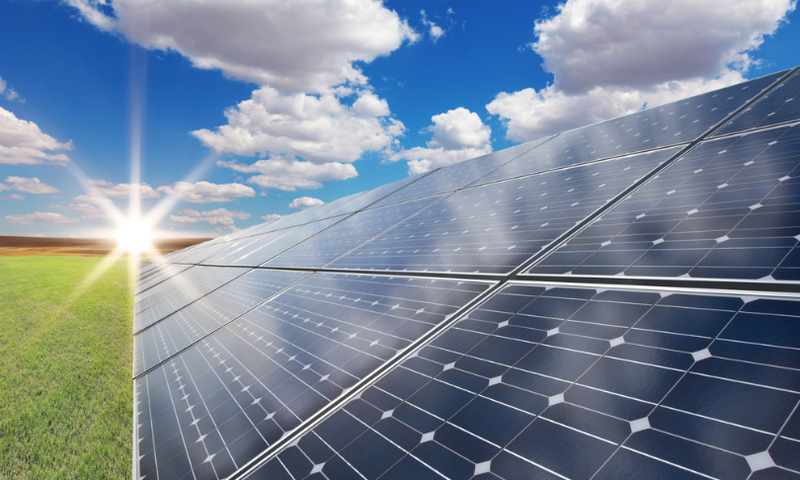 South America’s abundance of PV power sources and the development of newer technologies, such as the integrated PtG system and the incorporation of SWRO, have created the possibility of a 100% renewable energy system that significantly reduces the cost of energy production. The creation of such technologies must be accompanied by both national and international regulations, along with policies that will address the financial necessities of such systems, such as capital investment and government subsidies. Chile initiated a national mitigation plan in September of 2015 that “calls for no less than 70% of the country’s electricity demand being met by renewable energy sources by 2050, with an increase of actual renewable energy sources.” In 2015, Costa Rica obtained 98% of its energy from renewable sources, relying on 100% renewable sources for 94 consecutive days. Many other countries, such as Uruguay, Brazil, Argentina, and Peru, have also developed similar initiatives, and while more simulations and studies are needed to develop the most environmentally and economically effective systems, completely renewable resource-based energy systems are an obtainable goal for South America, and can serve as a global model in regards to developing sustainable technologies and inter-regional cooperation.